The President of the United States has the sole authority to designate a state funeral. General Douglas MacArthur, Supreme Allied Commander of the Pacific, and General Dwight Eisenhower, Supreme Allied Commander of Europe, were duly honored with state funerals. The men and women who served under them are entitled to the same honor. Today our nation stands divided in numerous ways and yearns for a unifying national event. A state funeral is a wonderful way to bring people together while thanking the Greatest Generation. Such an event would not just honor one man, but the 16 million men and women who served our country and defeated Nazism, Fascism and Imperialism during World War II. As Flags of Our Fathers author James Bradley said, “In the 1,364 days from Pearl Harbor to the Japanese surrender, with millions of Americans fighting on global battlefields, only 473 Americans were awarded Congressional Medals of Honor, the nation’s highest decoration of valor.” Today, only four of those Americans remain. Consider for a moment the men and women, many of them only teenagers, who 72 years ago wrote letters from flyspeck Pacific islands to homes thousands of miles away. If they could find the time and energy to write, so can you. 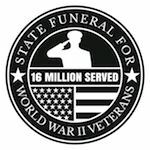 Please sign our petition to the President, or communicate with him directly to support a state funeral for World War II veterans. We, the undersigned, respectfully petition you to designate a state funeral for the last surviving Medal of Honor recipient from World War II. More than 16 million Americans wore the uniform of our armed forces during World War II. Only 620,000 of them were still alive in 2016, and each day we lose another 372 World War II veterans. 473 Congressional Medals of Honor were presented to military personnel who served during the war, and only four of them are alive today. Three classes of citizens are entitled to a state funeral: a President-elect who dies after being sworn into office; a sitting former President of the United States; and any other person designated by the President. The first non-presidential state funeral was held for Congressman Thaddeus Stevens in 1868. In 1921, President Warren G. Harding designated a state funeral for the Unknown Solder of World War I. President Harry S. Truman designated a state funeral in 1948 for General John J. Pershing. President John F. Kennedy authorized a state funeral for General Douglas MacArthur, and in 1964 President Lyndon Johnson confirmed Kennedy's directive. Today our nation stands divided in numerous ways and yearns for a unifying event. 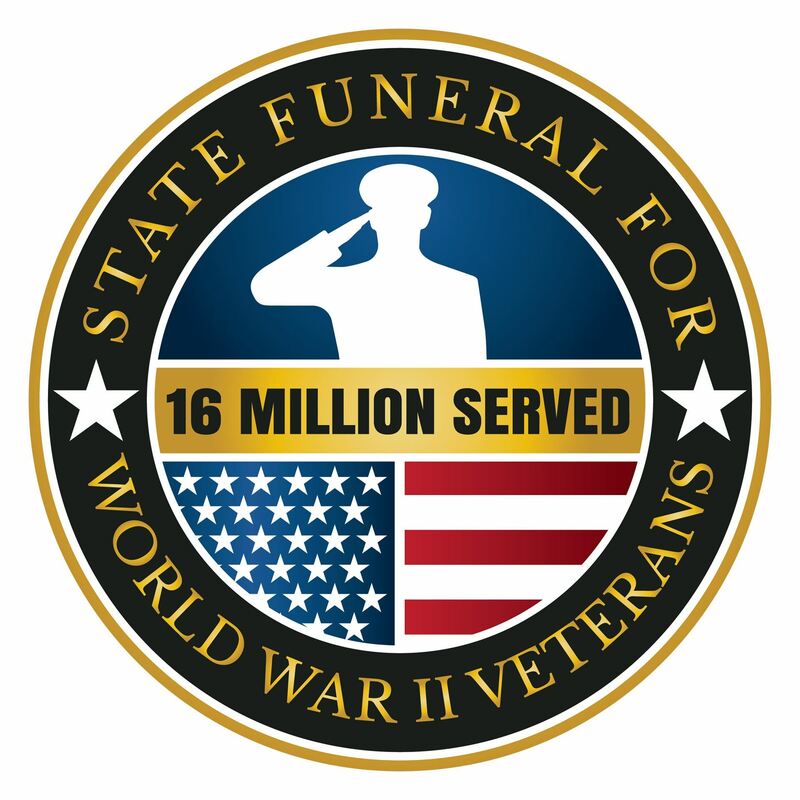 If Generals Dwight Eisenhower and Douglas MacArthur were honored with state funerals, so should the 16 million Americans who served under them. A state funeral on behalf of the nation is the best way to embody and thank The Greatest Generation. This would be a funeral not just for one man, but an event that would join the hearts of more than 330 million Americans, demonstrating our depth of devotion to a generation that defeated Nazism, Fascism and Imperialism. Each American who had a parent, grandparent, aunt or uncle who served in World War II would feel immense pride in seeing their loved one embodied in the ritual of a state funeral for the last Medal of Honor holder. Proverbs 16:3 says, “Commit your work to the Lord, then your plans will succeed.” It is in this spirit we submit this petition to you. In view of the foregoing, we, the undersigned, respectfully petition that you exercise your power as Commander-in-Chief to designate a state funeral for the last Medal of Honor holder from World War II. This funeral would serve as a final salute to the 405,399 Americans who made the ultimate sacrifice during the war, honoring each of the 16 million men and women who wore the uniform from 1941 to 1945.